That’s a good description! When people would ask me this question my go-to explanation was that it’s like talk radio on the internet. That doesn’t feel accurate anymore. It’s not quite the right impression. In a sense a lot of podcasts are like talk radio but that doesn’t fully encapsulate the medium. In terms of delivery method I think of it as on-demand audio programs. You can go online and stream it at any time. You can also subscribe to shows and when new episodes come out they will be automatically added to your subscription list. Think of podcasts like you would tv shows. Sure, there are talk shows but there are not JUST talk shows. There are documentaries, news programs, fictional programming and more. Podcasts come in many different formats and genres just as television series do. iTunes/Apple Podcasts – iTunes is the first big outlet for podcasts. Without a doubt the largest directory of podcasts iTunes is the number one leading place where people listen to podcast. Spotify – Spotify only recently added podcasts to their service and has already become the 2nd most popular spot to listen to podcasts. Stitcher – Stitcher offers exclusively podcast as opposed to the previous three mentions where they also offer music. Smart Assistants – Most smart assistants like Google Assistant or Alexa can play podcasts for you. Google – Not ready to dive into an app? Simply do a Google search for a topic you are interested in and the word podcast. You can listen right from most podcasts’ websites! You can listen to podcasts on virtually any device with internet connectivity. On desktop or mobile simply use one of the apps or services mentioned above. Podcasts stream and play just as any online audio does. You could visit the website of a podcast you want to listen to. Most will have an easily accessible player on their site or even a link so you can download the audio file to your device. If you have a smart speaker in your home the voice command for various brands vary but generally you can just simply tell it to play the podcast you want to hear. The answer to this question is why I love the medium. Everyone! Not literally everyone but what I mean is anyone can make a podcast. There are an unfathomable amount of podcasts available and many are made by regular people who just have a passion for the topic they are discussing. 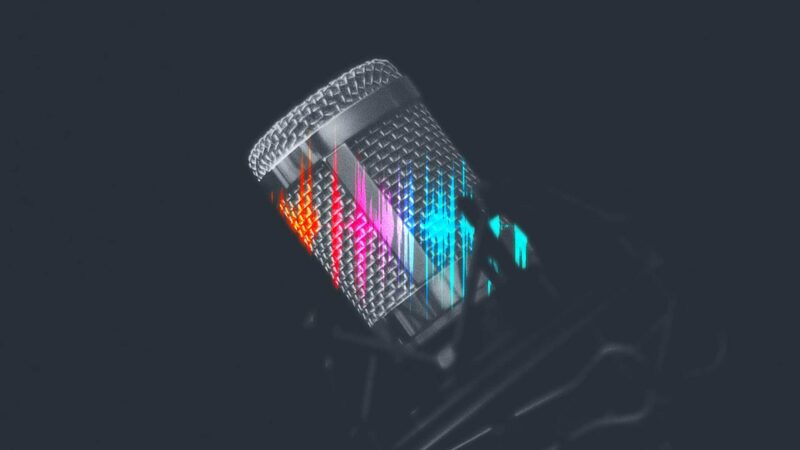 It wasn’t until the last couple of years that large brands and mainstream media started to look at podcasting seriously but podcasts have been in existence for roughly a decade-and-a-half. Specifically to answer the question as to who makes podcasts? Entrepreneurs. Comedians. Writers. Politicians. Journalists. Regular Joes who just like to talk about movies. Basically anybody who has the desire to do so. Of course organizations like NPR, the BBC and other major broadcasters have now taken to the podcast world. You may have already heard several news “podcasts” and didn’t realize it. Podcasts have grown to be recognized as another outlet like any other branch of media. Why do people make podcasts? There are possibly as many answers to this question as there are podcasts. For some it might be the share their story. For others it could be to discuss topics they enjoy. Through podcasting people are able to extend discussions into a public space and interact with others. Some podcasters are experts in their field and wish to share their expertise. Some use podcasting to raise awareness for a product recognizing the powerful and accessible reach podcasting can have. It’s a unique mix of companies and hobbyists producing entertainment for reasons ranging from commercial gain to love of the hobby. I hope this article and/or the attached podcast episode has been helpful! If you still don’t know where to start (shameless plug time!) might I suggest visiting the Electronic Media Collective Podcast Network. It is podcast network that I founded and operate and is simply a collective of several podcast shows. Approximately 40 podcasts, in fact! The website other there was designed with simplicity in mind. From the homepage you can click on any of a variety of shows and start listening right away! Or you can follow the show’s links to that podcast’s home on iTunes and other services.